Bill Clinton gave their High School's Graduation Speech...along with his usual extracurricular activity! WHY ARE THEY ALL LATINOS? I know I had supersperm, but I didn't know I was going to get all of her sisters pregnant too! thier legs are short ! MAURY, THIS MAN IS OUR BABIES DADDY! Oh look, that's where my tax dollars go... Anchor babies away! question is... how did they all get pregnant at the same time? 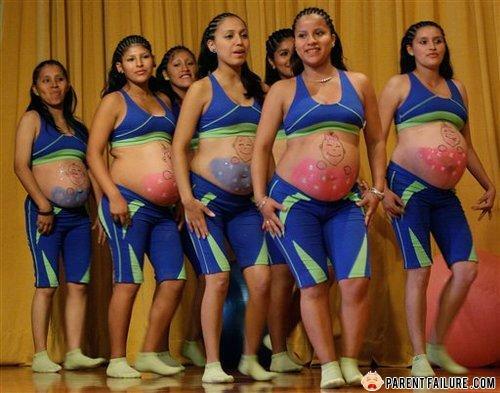 wtf how did all of the cheerleaders get pregnant at the same time? wait that almost sounds like an anti-joke.